The manhunt is on for notorious Mexican drug lord Joaquín "El Chapo" Guzmán. In light of "El Chapo's" prison escape, we talk to veteran narcocorrido musician Jaime Carrillo of Los BuKnas about what it's like to write and perform songs about Mexico's drug cartels. The manhunt is on for notorious Mexican drug lord Joaquín "El Chapo" Guzmán. This is "El Chapo's" second time breaking out of a maximum security prison. And it's not just journalists weighing in on how he pulled it off. Within hours, songs describing "El Chapo's" latest feat were being posted on YouTube. And by week's end, some had hundreds of thousands of views. The songs are known as narcocorridos. It's a genre that dates back to the Mexican Revolution, when musicians sought inspiration from the revolutionary fighters. But now that the reputations of rival drug dealers are on the line, writing corridos is a much riskier business. We talk to L.A.-based veteran musician Jaime Carrillo of Los BuKnas about what it's like to write about the drug cartels. Since the Mexican military launched its "war on drugs" at the end of 2006, it's estimated that more than 100,000 people have been killed in drug-related violence, and tens of thousands have gone missing. But despite Carillo's graphic song lyrics, he denies his music is glorifying the violence. This interview has been edited and condensed for clarity. The conversation has been translated from Spanish. Jaime, are you planning to write a song about "El Chapo's" latest escape? Yes, I have it ready. There's a demand for it, people want to hear it. You are not the only one, I know some other artists had music up within hours of the escape. How typical is that for this style of music? There are some who very quickly want to get the song recorded, be the first, have the most play. We want to step back a little bit. We don't want to have any regrets later. Like "I shouldn't have said that" or "Oh, we should have recorded that." But everybody wants in. So it is a moment of tension and everybody wants to get their song out there. Now you have written about "El Chapo" in some of your songs in the past. Can you tell us a few of the lyrics that you've written? Yes. There is one where we say, "He's gone, he's escaped, he's on his way out." [Starts singing] It's usually about who is after him, who wants to get him, but also who wants to protect him. I love to hear you sing it. Could you sing us a few more bars? "With a bazooka on my shoulder, and a gun in my hand. My AK-47, I'm the man in charge." [Singing] Many of the songs are about recognizing his stature, recognizing him as the big man. He has helped poor people. And I'm saying that because I've seen it. He is also somebody who does kill, but that's part of the job, part of his business. He's not a bad person, but he is bad when he has to do bad things because of his work. So does "El Chapo" inspire your music? Because as I understand it you also get commissioned to write narcocorridos. Are you writing these songs because people are hiring you, or because you really feel inspired by people like him? We are in it for the music. We love music, we're not narcos, we're not villains. But yes, there are low-level local narcos asking for songs. But with "El Chapo," there's something different with this man, there's something that does have musicians just becoming inspired to write songs about him because he's so big. Even his enemies want to listen to the corridos about him. You say you are not a narco. I have to ask, do you have any allegiance to any of the drug cartels? No, we have no particular loyalty. We get a contract and we show up to where we've been contracted and sometimes we'll arrive and go "Oh this is where we are, this is who has hired us." And only then do we find out. We don't ask questions when we are being contracted, like "What do you do? Who are you? Where do you live?" We also need to make our money. The issue of loyalty could be dangerous if you become loyal to one cartel. You could be killed by other cartels for being loyal to only one, so we have to work across the board with everyone. Have you ever turned down a gig? Do you worry what would happen if you did? No, we never reject a contract. But once we didn't want to do a job. It was dangerous. We knew that the region where we were being invited for that contract was a dangerous place and many people said, "Don't go there, don't go there, just stay away." And I thought, one narco is not going to care that some little band is playing here or there. They have more important things to deal with. In the end what I want is for my band to be big. So yes, it is risky. One thing about Mexico is that there are limits. There is a line and you don't want to cross that line. Respect is a very big deal. Now there have been musicians who have been shot while performing, some who have been tortured. The narcocorrido singer Salino "Chalino" Sánchez, who you collaborated with years ago, was killed back in the 1990s. What happened to him? Well, they say that he was at his final concert in Culiacán at a big hall and as he was leaving there were a group of people that were clearly looking for someone. As they were leaving, the other group followed them out and in the end he was pulled out and shot on the street. It was a case of mistaken identity. He was not the person that they were looking for that night. But at that time corridos were very simple, they were not in the form that they are now. People over the years have added more aggressive lyrics to the corridos, more death threats. I can say, putting Sánchez's case to one side, that there have been corrido singers that have been killed and usually they have been killed because they've behaved badly. For example, a corrido band can be on stage. There's a nice looking girl in the front row. One of the corrido musicians starts flirting, maybe making eyes at the girl. But then the girl happens to be one of the narcos' girlfriends, and so that could be crossing a line. Do you think that narcocorrido songs like your own contribute to the violence that we're seeing by glorifying and promoting the gang lifestyle? Corridos do not generate violence, violence generates corridos. So we do not encourage or promote violence. We do not give the message to the youth that they ought to be violent like the narcos. We write and sing about things that have already happened, or things that are happening. So it really is the case that violence creates or generates the corridos and not the other way around. But the song you sang earlier has lyrics like "Cross my path and I'll chop your head off" or "We're bloodthirsty, crazy and we like to kill." There you are a successful musician on stage singing about that. Does that not potentially send a message to those young people that this is not a bad thing? No, I think each person has to know and have control of their own home. As a father I don't want my children to grow up to be gangsters or narcos. If they want to listen to corridos I don't forbid them from listening, but I certainly don't encourage them. And if they do listen, I want them to understand that they're not saying to do this. The message is actually often be careful. That if you go into that world, this is what you're dealing with. If you are sometimes getting paid to write these songs even by minor narcos, these people may be drug traffickers. I'm just wondering how you rationalize that. Aren't you directly profiting off of the violence and at the same time worrying about your own children? We love the music. So the loyalty isn't there and we don't ask. I won't ask a narco if he is a narco. I don't know whether he is a narco or not, I don't know if he's a major narco or a minor narco. But I don't go there, I don't ask him. We make the music. And without knowing really who that person might be, and we might learn at some point later, but at that moment we do the music the best that we can. Also in the United States there are worse problems from my point of view with violence. There are a lot of crazy people, not everyone, but there are a lot of crazy people with guns and bombs. There are shootings in schools, shootings in churches. I want to take my kids to the movies, but after what happened in Colorado I'm scared. Let's get back to "El Chapo" and his latest escape. What do you think the message is that the Mexican people are taking from that? People are mixed about this. Some people can't believe that he's escaped. Others say, "Of course he's escaped." I personally believe that he walked out the front door. I don't believe that he went out through a tunnel. To me this is about power and about money. 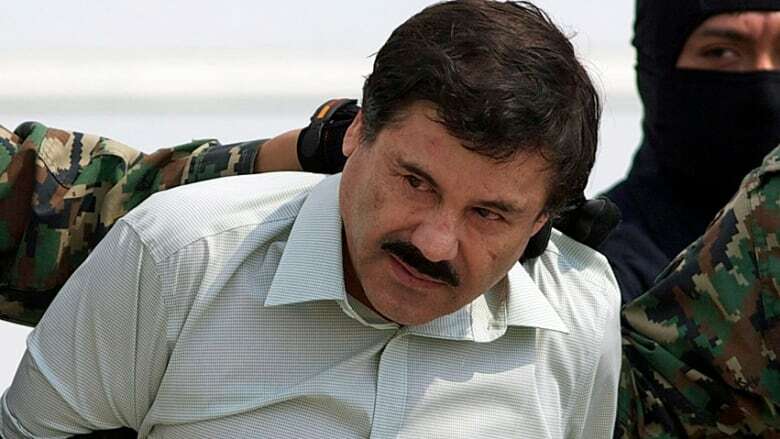 And my vision of "El Chapo's" escape is he's walking out the front door and the guards are waving to him as he walks out and saying, "Hope that you don't come back. Hope that you never get captured again!" Is your version of the escape what we're going to hear then in the song that you're writing? Harper Lee's Go Set a Watchman: Should I read it?